Back before Thanksgiving, I thought it would be a good idea to buy a case of canned pumpkin puree from the on line American grocer. Surely, I’d use all 15 cans in no time. Ha. With the expiration date looming, I’ve gone into full use-pumpkin mode — my favourite use being pumpkin muffins. I’ve tried many recipes over the years, and this is the one I like best. Preheat oven to gas mark 4 (375F or 190C). Combine the dry ingredients in a bowl and dry whisk them with a wire balloon whisk to remove lumps. Whisk the pumpkin, vegetable oil, and eggs together until smooth then add this mixture to the dry ingredients. Carefully stir everything until it just comes together and be careful not to over mix as this makes the muffins tough. Line muffin trays with paper cups and fill them 1/2 full. Bake for 15-20 minutes. Once out of the oven, let them stand for 10 minutes before removing them from the muffin tray. Cool for at least 20 minutes and enjoy. 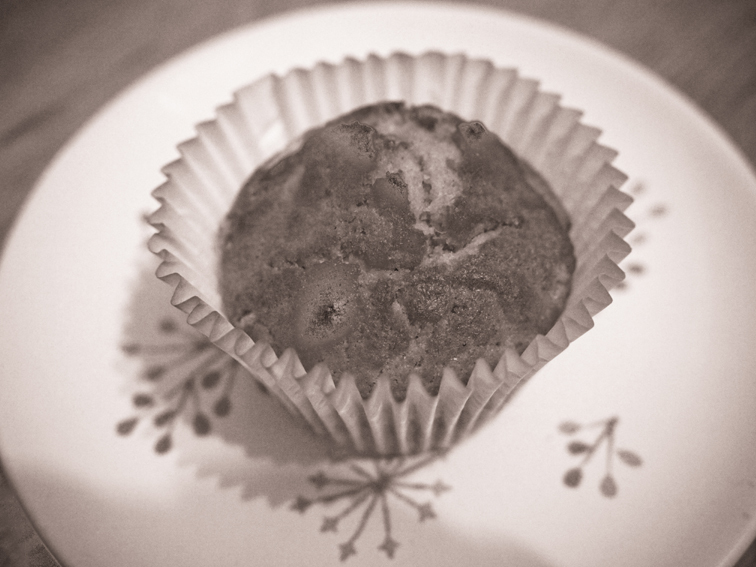 Pumpkin muffins are nice, but I come here to see new pictures– get snapping(I KNOW you are busy). I love you. I don’t think you full appreciate the power of pumpkin muffins!